Geoffrey Keezer is a pianist of immense technical ability. As a musician and composer he is able to express himself in different idioms and settings. On Aurea, for instance, he makes a remarkable foray into the realm of Afro-Peruvian music. And he emerges from this colorful expedition with such a high degree of excellence that you wonder why more practitioners of jazz on the piano, for all its use as a primary rhythmic instrument in modern ensembles, have not made the journey into the ever-inviting musical realm of Afro Latin America earlier. 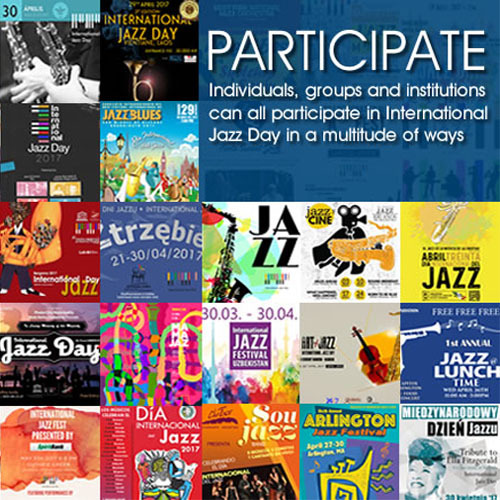 Now it appears that so many musicians – especially New York based artists – playing in the jazz idiom seem to be besotted with the music of Latin America, especially Colombia and Peru. It certainly appears, from the music on this record, that Keezer has not only imbued almost every aspect of Afro-Peruvian idioms and the rhythmic phrasing, but that he has also made it his own, emerging here with a virtually original musical avatar. So much so that it is almost impossible to tell “Cayendo Para Arriba” and (especially) “Una Bruja Buena” and “Leucadia” from say “”La Flor Azul” and “La Nostalgiosa”. But more than character Keezer may have also stretched even further the textures of a very elastic rhythmic culture. “Miraflores” with its layers of dark-to-light Afro-Peruvian rhythms under Keezer’s soaring piano improvisations, is a resounding classic. What this suggests is that, at least in terms of charts alone, Keezer may certainly have added to the contemporary catalogue. He is doubtless, successful in this endeavor in no small measure because of the presence of his musical cohorts. Firstly, the Peruvian percussionist, Hugo Alcázar brings a wild, yet sophisticated reading of both, Keezer’s as well as the Latin standards and traditional songs. Jon Wilkan is the other percussionist and when they are together, they work up a dynamic storm. Also noteworthy are exquisite solos by Ron Blake (“La Nostalgiosa”) also Steve Wilson especially on “Araña Amarilla”. And then there is the majestic reading of all the bass parts by Essiet Okun Essiet and the stylish plucking on acoustic guitar by Peter Sprague. However by far the revealed star on this recording may be vocalist Sophia Rei Koutsovitis, who brings a raw, primal quality to the gut-wrenching readings of the vocal parts and is specially memorable on “Una Bruja Buena,” “La Flor Azul” and “La Nostalgiosa,” where she conjures the spirit of heartland of Peru. The elemental sadness of “Vidala De Lucho” is all too memorable thanks to the vocalist’s reading of the emotional phrasing of the song. Keezer of course set the mood with a spectacular introduction to the song. 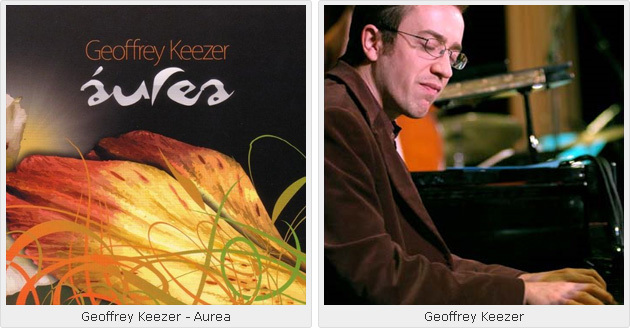 In Aurea, Geoffrey Keezer has created a record of unforgettable grace and power. And the artist tells us that he has also made an extra-artistic commitment to the people of Peru. In going with ArtistShare, Keezer has committed to making a contribution to social projects in that country to alleviate some of the economic distress there. In this regard he has broken fresh ground in commitment to the artists whose traditions he shares here on this record. Tracks Listing: Cayendo Para Arriba; Una Bruja Buena; La Flor Azul; Araña Amarilla; Leucadia; La Nostalgiosa; Miraflores; Vidala de Lucho. Personnel: Geoffrey Keezer: piano, Rhodes; Steve Wilson: alto saxophone; Ron Blake: alto saxophone, flute; Phil O’Connor: bass clarinet; Sophia Rei Koutsovitis: voice; Mike Moreno: guitars; Peter Sprague: acoustic guitar; Hugo Alcázar: drums, percussion; Jon Wilkan: drums percussion; Essiet Okon Essiet: acoustic and electric bass; Susan Wulff: acoustic bass.